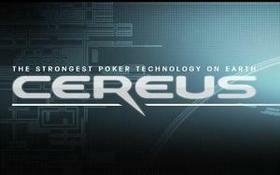 The Cereus Poker Network has put in a lot of hard work to repair the damage their brand suffered after the Super-User scandals at both Absolute Poker and UB Poker: The site’s changed platforms, management, and even brought in some of its most vocal critics as consultants. Despite all these changes –or perhaps because of the numerous changes—a small hole in their encryption was discovered by pokertableratings.com. The poker world was wondering how the new Cereus Poker Network would fare after another security breach was discovered; but the breach was very small, and practically unexploitable. The site quickly fixed the glitch; it’s COO and spokespeople were visible and answered all questions honestly; and now Cereus has surged ahead of the OnGame Poker Network and claimed the #5 spot in traffic numbers, and is seriously threatening iPoker for the #4 spot! As the Cake Poker Network has dropped from the loss of Sportsbook and PlayersOnly to MicroGaming, UB and Absolute Poker seem to have been the beneficiaries. If the Cereus Poker Network can continue to grow it’s not out of the realm of impossible for the one-time online poker giant to once again challenge Full Tilt Poker and PokerStars as part of a Big Three. This entry was posted on Tuesday, July 13th, 2010 at 7:04 pm and is filed under Poker News. You can follow any responses to this entry through the RSS 2.0 feed. You can leave a response, or trackback from your own site.